Mix the recommended amount (see below) of shampoo with 300ml of lukewarm water. Wet the dog's coat thoroughly with warm water and apply half of the mixture. Massage well into the coat, using finger tips around the head to avoid the eyes, ears and mouth. Rinse and repeat with the remainder of the mixture working up to a good lather. Rinse well with lukewarm water and towel dry. Brush and comb thoroughly. 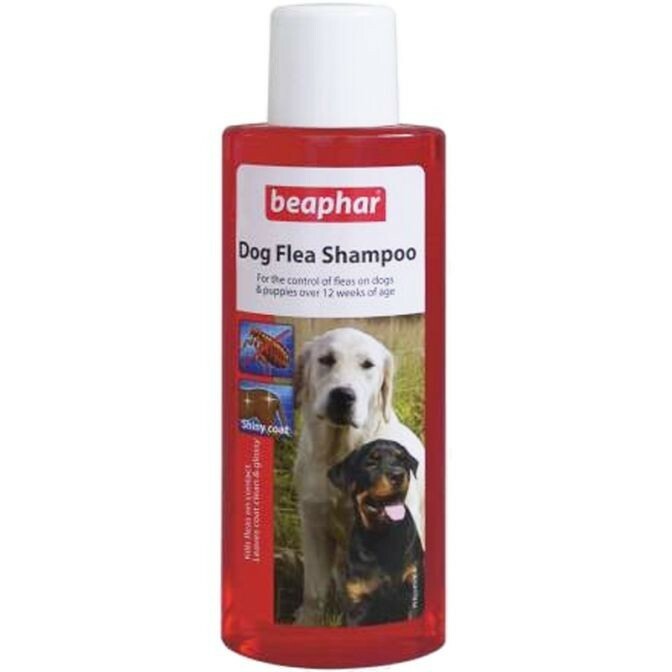 There are currently no questions for Beaphar Dog Flea Shampoo - be the first to ask one!